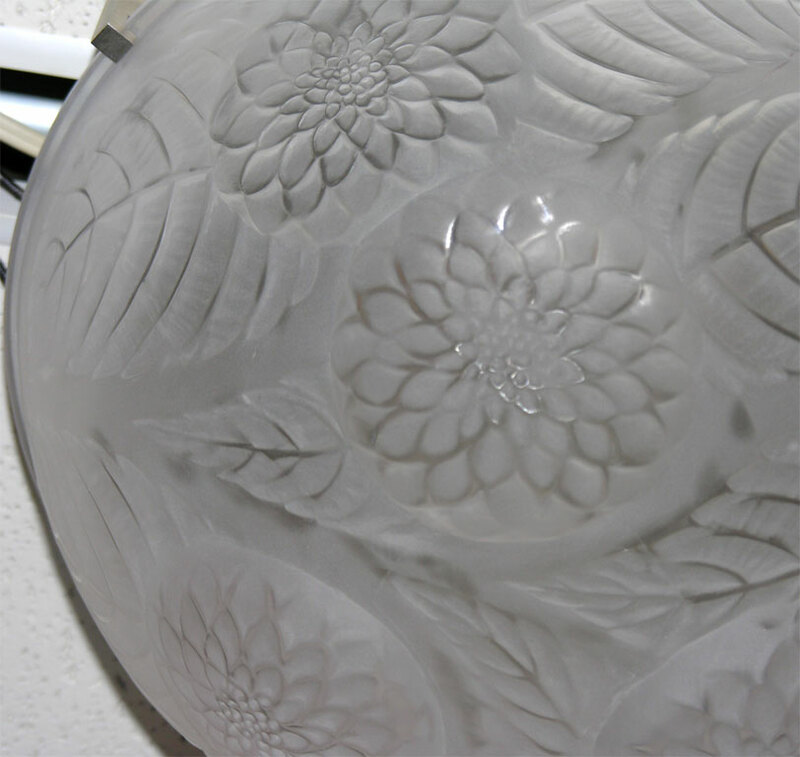 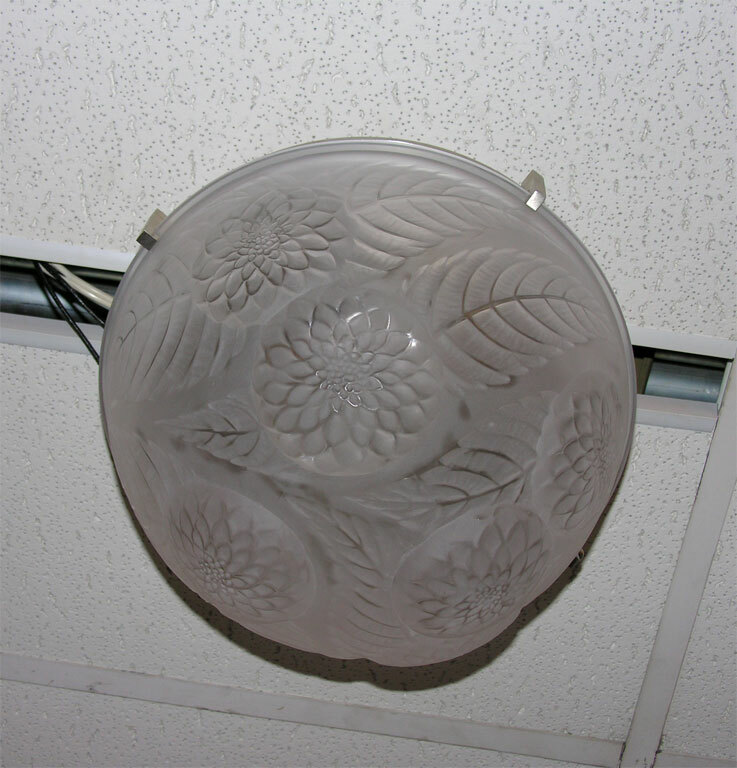 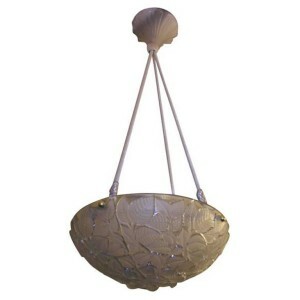 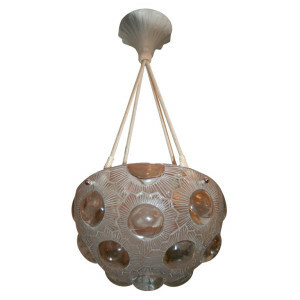 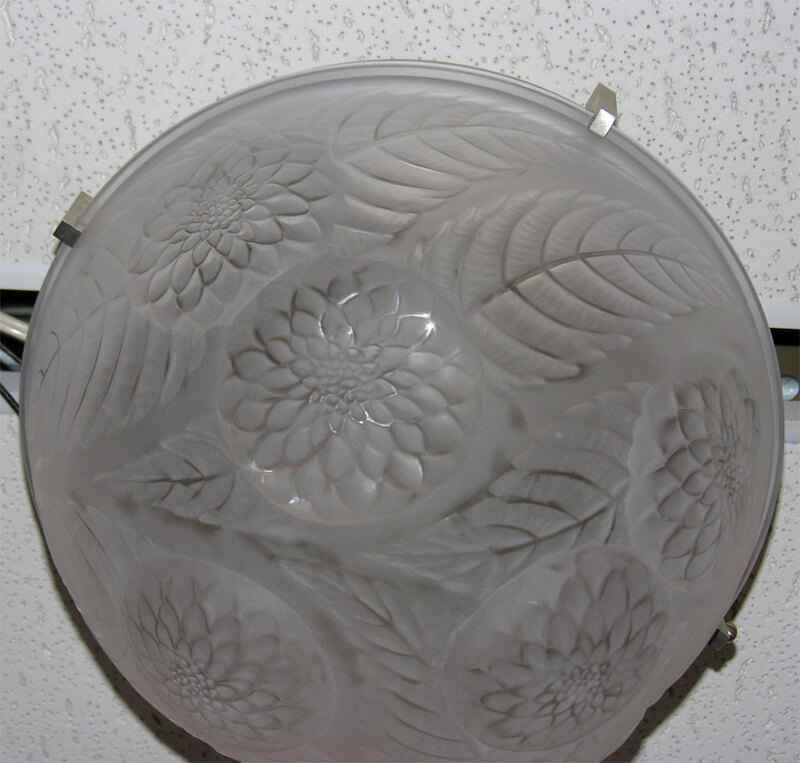 A Lalique “Dahlias” chandelier mounted as a ceiling fixture. 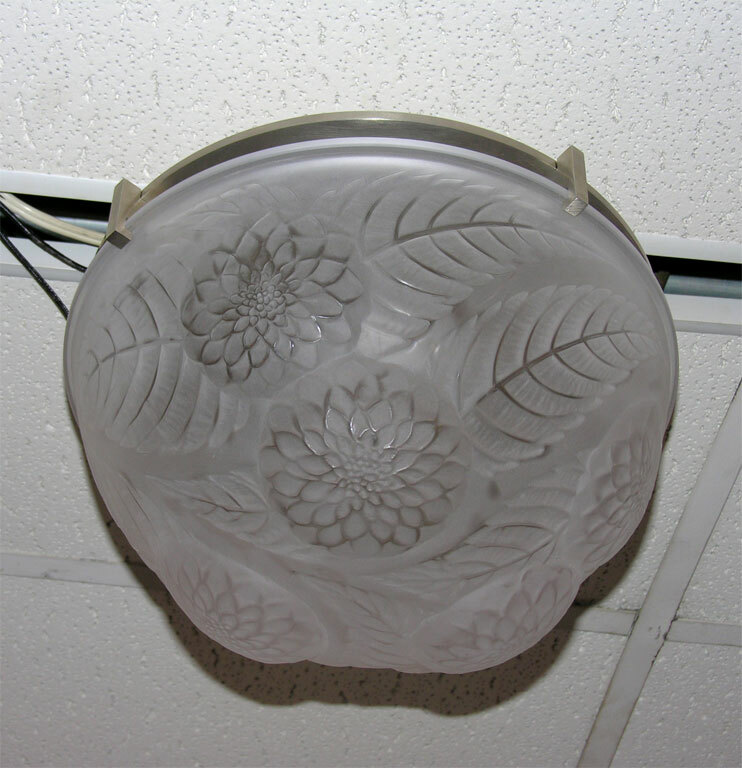 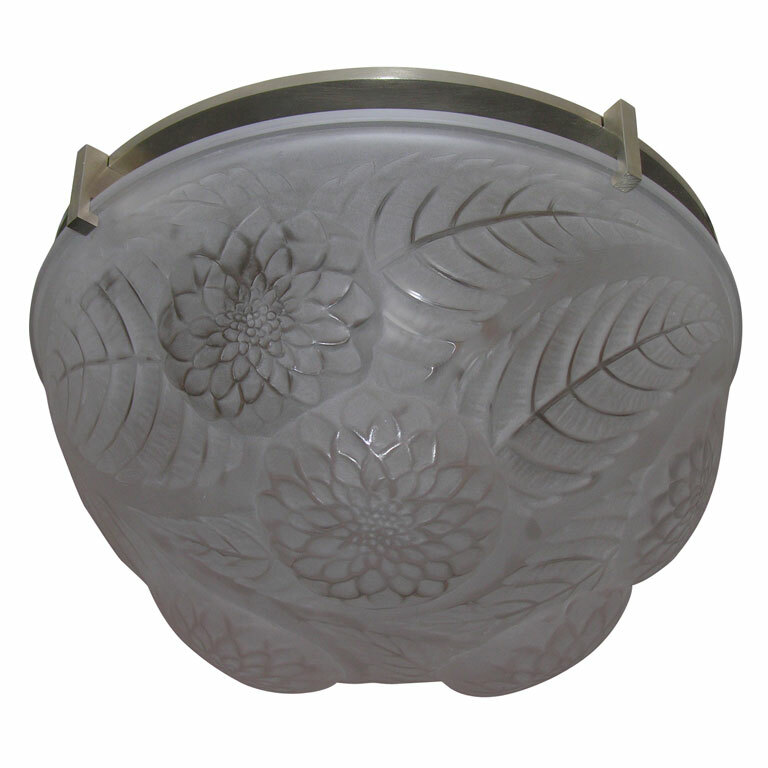 In clear and frosted glass molded with flower heads and leaves, hanging from a nickeled metal plate. 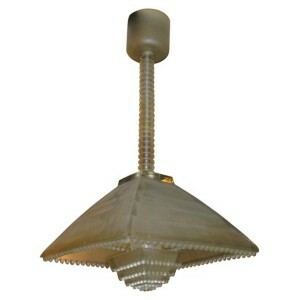 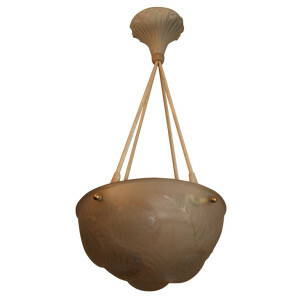 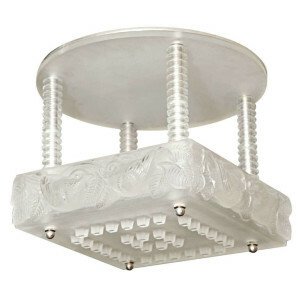 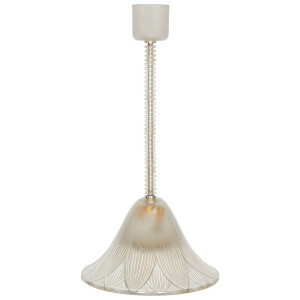 A “Ravenne” chandelier by Rene Lalique, model introduced in 1927. 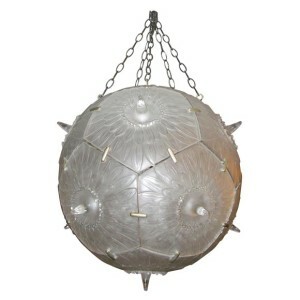 Bell-shaped, pendant from a central post covered with glass segments.